Now that the Nokia ‘Catwalk’ aka Nokia Lumia 925 with aluminium casing is out in the open, it is time for us to focus on the next upcoming smartphone from the Finnish giant Nokia which will be the ‘Nokia EOS’. 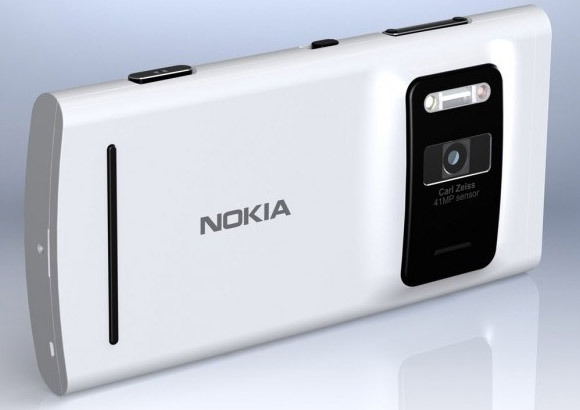 The Nokia EOS is expected to be the much-awaited first Windows Phone smartphone to arrive with the super-awesome 41 megapixel PureView Camera which is present in the Nokia 808 PureVeiw running on the now-dead Symbian OS. A tip was received by WMPU in which a reader, who happened to get a glimpse of the Nokia EOS has very well described as to how the smartphone looks like and to put it in simple words, it is a mashup of the Nokia Lumia 920 and the Nokia 808 Pureview. The smartphone will be made up of Polycarbonate shell but this time would be much lighter but will carry a camera hump somewhat like on the Nokia 808. The lens housing is said to be round in shape and it will be accompanied with a Xenon Flash with dual-LED, one of which could be white for video recording and the other could be the red for AutoFocus. The lens also has an automatic cover which will open when the camera app is booted and a new app possibly called as the ‘Nokia Pro Camera’ will be on the Nokia EOS which will provide a range of manual settings for users to play with and the much-requested manual focus, which is currently not supported by the Windows Phone platform will be made available through the app. The Nokia EOS will not be available in multiple color options and Wireless Charging might only be supported by the device but users might be able to use Wireless Charging covers like on the Nokia Lumia 925. While we do not know as to when will the EOS go official but we expect an announcement from Nokia to happen anytime in July or August.